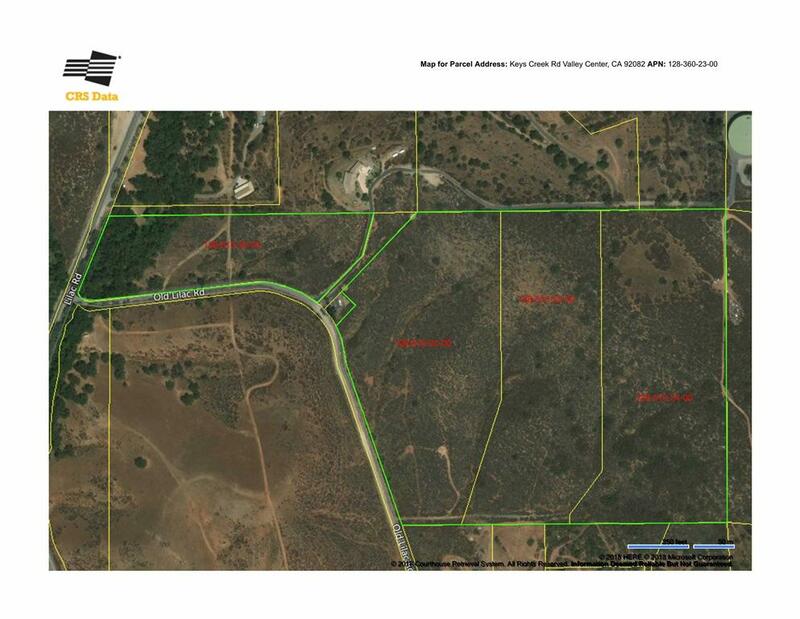 Four parcels combine for 56 acres of paradise. Good for upscale family compound or developers or ? Water main in Old Lilac Rd and fire hydrant installed at SW corner of parcel 22-00. Natural gas main runs N-S through parcel 20-00. Overhead power on or along properties. Views of the old Rancho Lilac to the west. Listing provided courtesy of Krueger Realty. Listing information © 2019 San Diego MLS, Inc.